4140 W Desert Inn Rd. ALL OF OUR VEHICLES COME WITH A NEVADA SMOG CHECK, AND A 30-DAY DRIVE AWAY PLACARD. Let us build rapport with you and the rest of the Southern Nevada Area. We provide multiple services for our customers. Such as an Insurance Agent who shops around for you to provide the maximum amount of discounts he can possibly obtain for you! DO NOT FORGET we also provide an Optional FREE Warranty, If you'd like to learn more of what our store has to offer, please give a ring! Thank You! CALL OR TEXT (702) 771-1010 FOR MORE INFORMATION! 4140 W.DESERT INN RD, LAS VEGAS, NV, 89102. **Free warranty optional for customers paying full cash price on vehicles in cash, others who receive a special price or financing warranty is available but not free option**All prices shown are cash prices. Prices are subject to change without notice. We strive to maintain accuracy of this information. However, we are not responsible for any errors or omissions contained on these pages. Cash prices do not include taxes, doc, title and fees. Please contact the dealership for any additional information. CALL OR TEXT (702) 771-1010 FOR QUICK AND MORE INFORMATION! WE ARE LOCATED AT 4140 W.DESERT INN RD, LAS VEGAS, NV, 89102. Thank You! 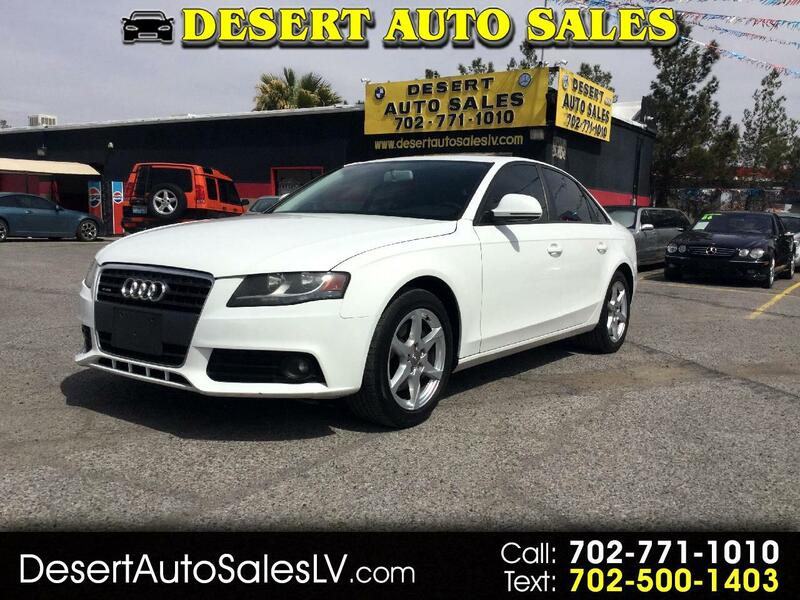 ~ Team Desert AUTO Sales ~ CALL OR TEXT (702) 771-1010 FOR MORE INFORMATION! 4140 W.DESERT INN RD, LAS VEGAS, NV, 89102. 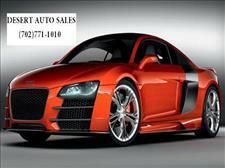 Message: Thought you might be interested in this 2009 Audi A4. Amount does not include tax, title, & registration. At Desert Auto Sales we are proud of the quality used cars we sell and our dedication to serve the needs of our customers. This is reflected in the amount of repeat business we receive. Whether this is your first purchase with us or one of many that you’ve had, you can count on our dedicated sales staff to make it the best buying experience possible.